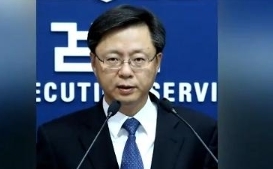 [Anchor] Controversy continues to swirl around presidential secretary for civil affairs Woo Byung-woo who has been linked to alleged corruption. 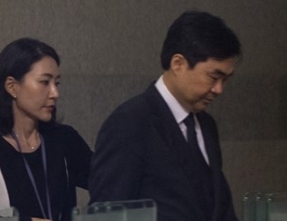 Meeyeon Ahn has more details..
Top presidential secretary for civil affairs Woo Byung-woo has again rejected media reports that he was involved in corruption scandals with local online game maker Nexon and former Nature Republic chief Jung Woon-ho. He was speaking to reporters today at..
[Anchor] The opposition for THAAD remains strong after the North launched three ballistic missiles this morning. Protests against deploying the defense system have spread nationwide. Jihye Lee has more. [Report] Some say that North Korea's ballistic missiles tests today was to worsen South Korea's .. 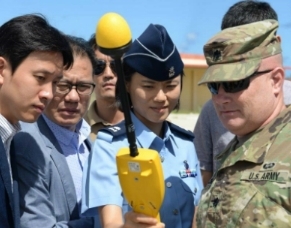 The US showed its THAAD battery station in Guam to Korean officials and the press for first time today. This comes after many hav..
●	(Stocks) KOSPI Gains As Foreign Investors Continue To Buy. 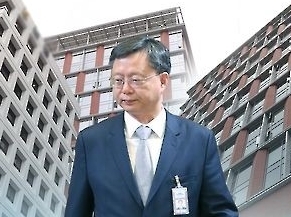 Senior prosecutor Jin Kyung-joon (진경준) has been arrested on insider trading charges. 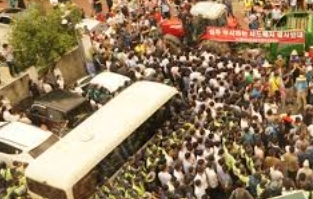 It is the first time an incumbent senior prosecutor in Korea has been arrested. Katie Kim tells us more. Jin Kyung-joon, a senior prosecutor was arrested early this morning on suspicion of taking bribes from the onl..